Walls are large elements of interior design. Decorating empty walls is not an easy task, and finding the perfect wall decorating ideas helps design beautiful and modern home interiors with unique character and charm. 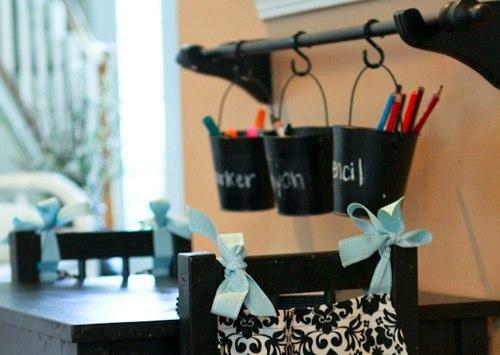 Home organizing and creative recycling ideas help get rid of clutter and find wonderful items that clutter homes until they can be used for unique, attractive and modern wall decor. 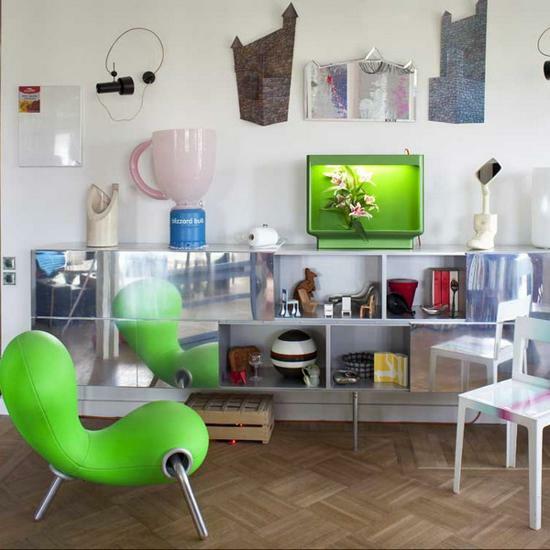 Home decorating ideas with clutter and recycled crafts look personal, interesting and spontaneous. Whether you are looking for wall decor items for your urban home, office or summer cottage, clear clutter out of your home and think how to recycled useless items before you buy new wall decorations. 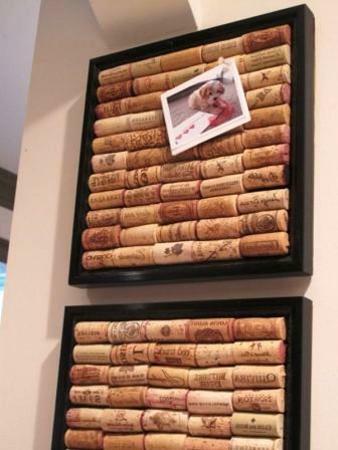 Make recycled crafts and use them for modern wall decorating. 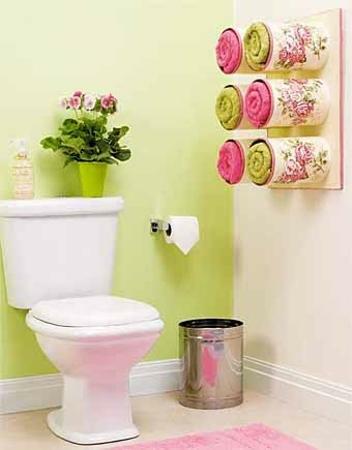 Pay attention to items that clutter your home, be creative, and you will find unique wall decor accents and ideas for interior decorating with clutter. 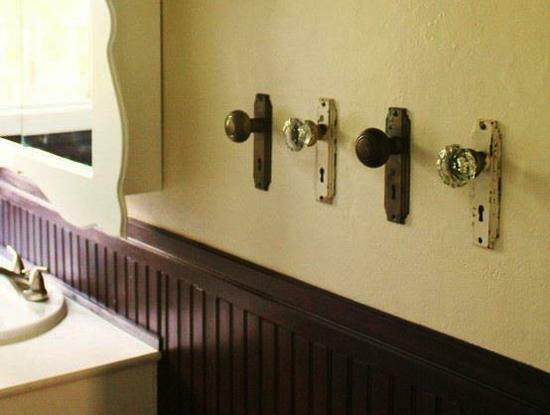 Notice interesting old things while clearing clutter out, and you will be surprised how many great items can be used for wall decor. Recycling ideas and recycled crafts are a nice way to save money on interior decorating and create fabulous, pleasant and clutter free home. Of course, you can paint your empty walls and create bright room decorating with stylish stripes or colorful geometric patterns. 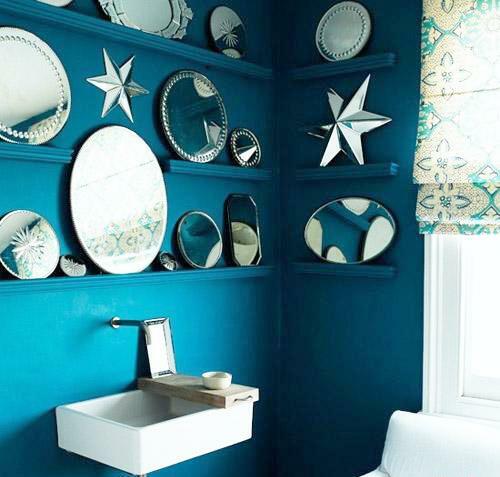 You can use abstract or graphic wallpaper patterns and trendy wall paint color. Contemporary decals and modern wall stickers create impressive wall murals, but recycling ideas that help get rid of clutter have the potential of turning into modern wall artworks. 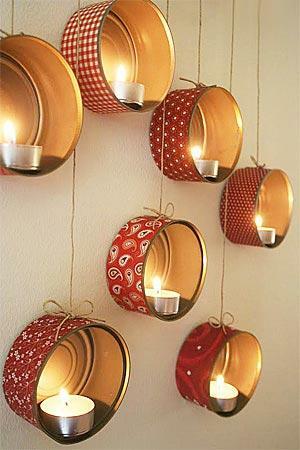 Recycled crafts and wall decoration with clutter are much more interesting interior decorating ideas. Decorating rooms with clutter, recycling clutter for unique accents are cheap ideas. A large item or a bunch of smaller ones that you turn into attractive wall decor are as effective as painting your wall. These projects dramatically changes home interiors. 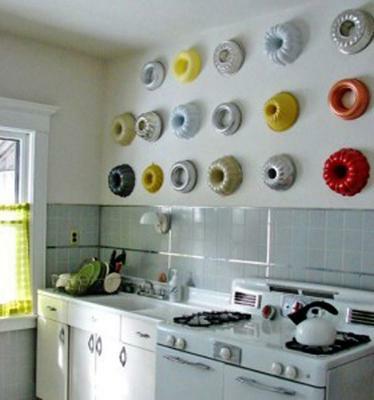 Too often people make a mistake of using too many objects for wall decorating. 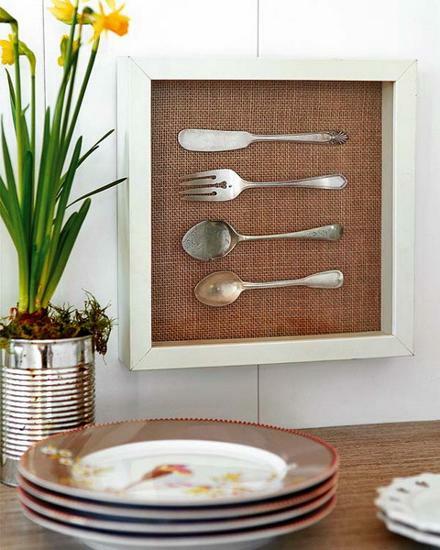 Framed artworks and photographs on the empty walls look fabulous without filling empty wall space completely. It feels logical and natural to fill up the empty wall space while decorating your room, but this is great just for painting ideas. When you use clutter for creating recycled crafts and artworks for modern wall decoration, concentrate on the central parts of your empty wall. As interior decorating experts would do, visually draw a rectangle, triangle or a circle on the empty wall and try to fill it with collected clutter recycled crafts or useless items. Small wall tapestries, old sayings, picture frames, hats, keys, ties, or even broken parts of furniture or appliances, that create clutter in your home, are great for creative, unusual and modern wall decorating. You can hang one large or a few small wall artworks, that clutter your closet, right in the middle of your empty wall, or create crafts recycling home clutter. Small items create the biggest clutter problems. 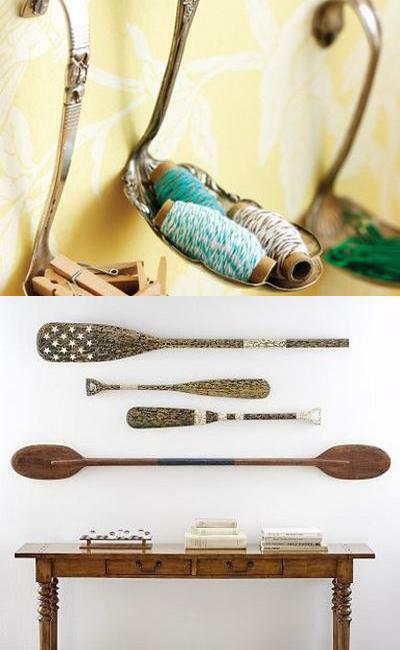 You can use small items, grouping them together, and decorating your living room, kitchen. kids rooms or bathrooms in creative and surprising style. 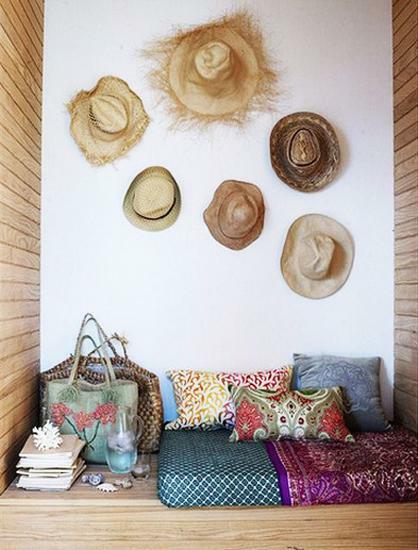 Small home decor items, arranged close to each other following a certain pattern, make an attractive, large and unique wall decoration without getting lost on an empty wall. Getting rid of clutter is convenient, inexpensive and important whether for fresh interior decorating or home staging for sale. A large item or a group of small ones, that are cleaned, refreshed, refinished or painted and used for wall decorating, can help create clutter free homes with original, innovative and impressive wall decor in every room. 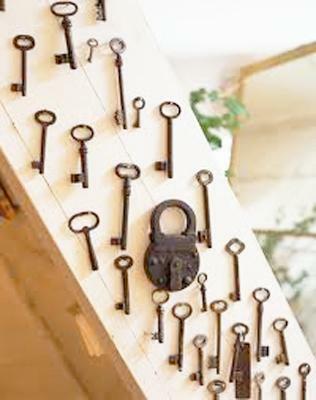 You may find unique old items that can be used for interior decorating and save money on home decorations while creating contemporary, unique and modern wall decor of clutter.